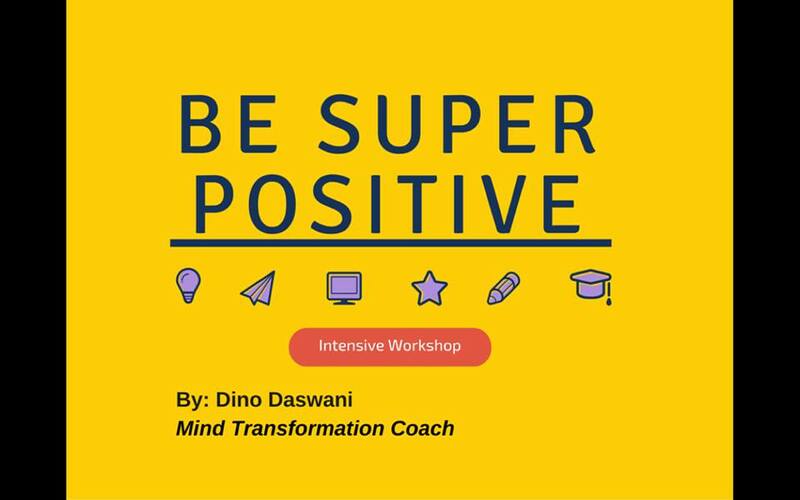 In the video below, Dino shares 3 Insights that have changed his life. Could these insights transform your life as well? 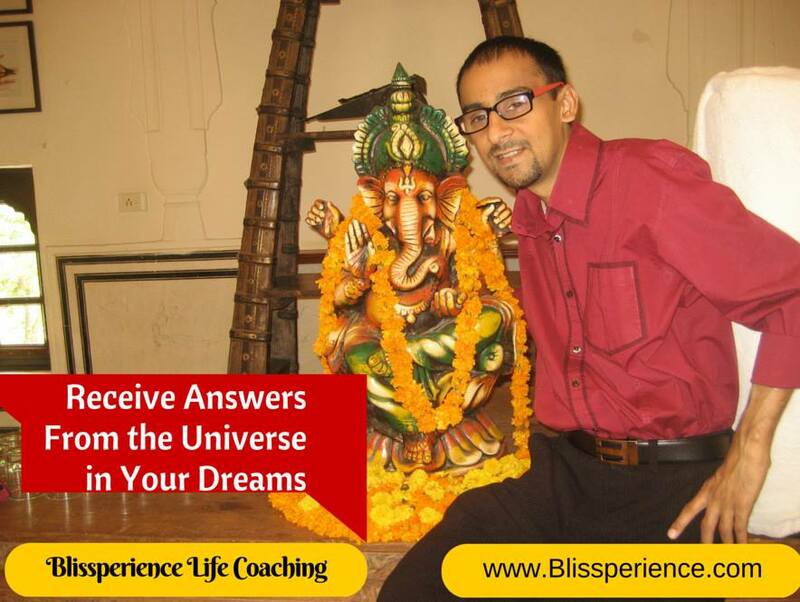 One of the most exciting subjects that I explore with my clients is how to get answers from the Universe, either in their waking or dream state. I enjoy this subject as much as they do; it’s powerful and transformative. It brings so much clarity and a sense of oneness within them. 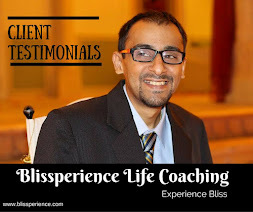 In many of my articles and videos, I have talked about how I’ve connected with beings of higher consciousness in my dreams to get answers to my questions, or simply explore what is possible beyond the physical dimensions. At times in may be Shirdi Sai Baba, Satya Sai Baba, Lord Krishna, Lord Shiva, Guru Nanik, ascended masters, angels, spirit guides or even my higher self. 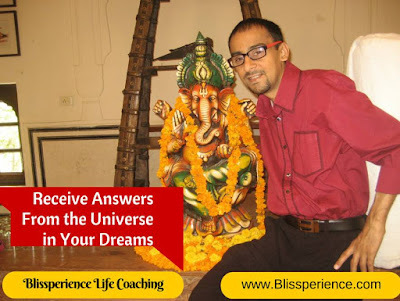 So today, I decided to discuss this subject briefly so that you can get started on this exciting journey of receiving answers from the Universe in your dreams. Allow me to illustrate this to you with a simple personal experience. For those of you who know me, my body has been diabetic for over 20 years and I inject insulin everyday. However, this was never a problem until I lost partial vision. When my vision reduced, I was unable to see the needle because it is extremely tiny, and I would be required to uncap and cap the needle back when I was finished. I try to cap the needle with my magnification glasses a couple times, but was unsuccessful. In fact, I even poked myself a few times. This needle poke was quite painful and created a fearful memory within me. Whenever I would attempt to cap the needle, the fearful memory would arise and send chills down my spine. However, I needed to find a solution to this, because I couldn’t depend on my parents help every time. One evening it occurred to me that I should ask the Universe for an answer, and so I did. Early the next morning I woke up from a dream, which gave me the answer, on exactly how to solve the problem. Before breakfast, I followed the exact procedure on the insulin injection, and was able to cap the needle safely. What’s even more fascinating is that the fearful memory also cleared during my dream. I no longer felt the chills in my spine when my finger would get close to the needle. Today, I even cap the needle with my eyes closed. We all have the capacity to connect with our higher self, sub-conscious mind, super-conscious (mind of God), angels, spirit guides, or ancestors etc. Unfortunately, many people believe that this is only the capability of certain elevated individuals. This is false. Everyone has this capability, but it must be cultivated and enhanced. The easiest way to get answers is to use your dreams because this is the time when the bridge between the conscious, sub-conscious, and super-conscious mind is open. Information is able to freely flow across these states of mind. The challenge, however, is that many people are unaware of this state. For this reason, even though the answers are coming through, they are unable to see, hear or feel it. The first step to get answers in your dreams is to first become aware that you are dreaming. With most individuals, there is no separation between the dream and the dreamer. Once you become aware that you are the dreamer during the dream, you can choose to remember the information that has come through. However, to be “awake” in your dream state, you must first become “awake” in your waking state. Every person has different learning styles, and due to the limited scope of this article, I will not discuss this in depth. Although, if you want to experience a deeper connection with the Universe, then you can follow this simple technique to raise your awareness in your awaking state. The technique is to simply cultivate the sense of wonder within you. 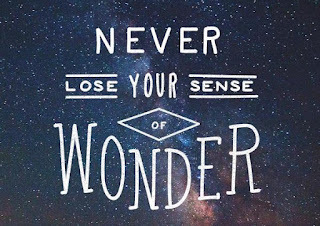 Today, life has become so mundane for many people that they have lost this sense of wonder. But, they fail to realize how powerful this sense is. The sense of wonder will instantly raise your level of awareness. For example, if you visit a new city, you’re excited to explore, so your sense of wonder and awareness is raised so that you don’t miss out on anything exciting. Alternately, when you walk down the same road to work everyday, there is no sense of wonder, no sense of awareness. You are lost in your own thoughts and are practically unconscious of your surroundings. Therefore, to start receiving answers to your questions from the Universe, you must raise your ability to see, hear, and feel deeply. In fact, the universe is always answering your questions; it’s just that you’re not listening. I invite you to start your journey of awareness with the desire of experiencing the magic of existence around and within you. I assure you that this will be the greatest gift that you will give to yourself and the world. 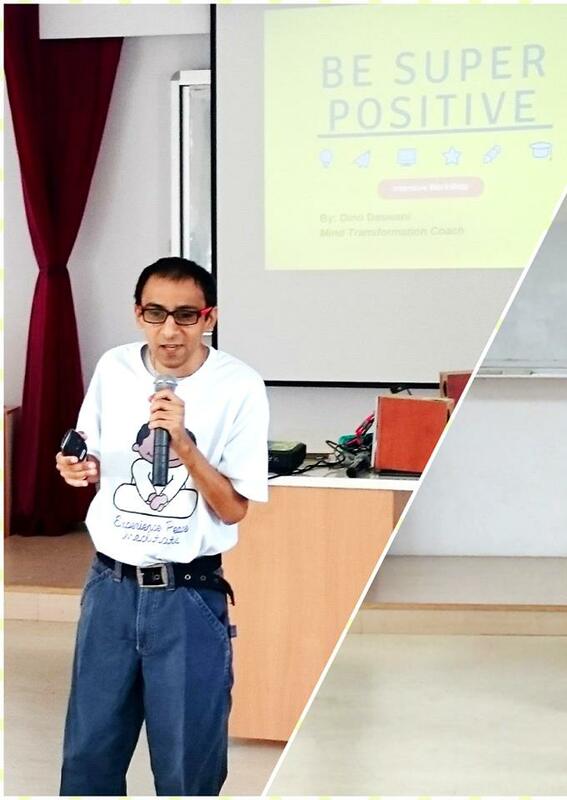 A Big Thank You to everyone who attended my “Be Super Positive” workshop yesterday. Also, it was wonderful to receive the shiny Best Speaker award! 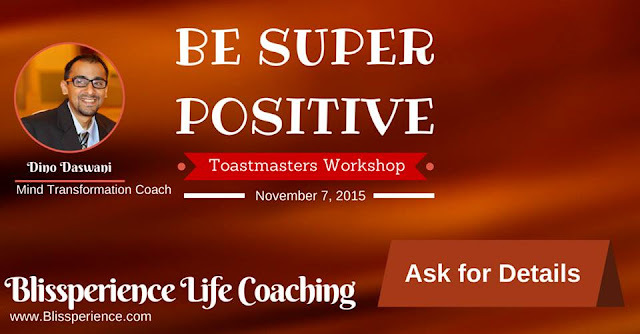 -- About the workshop - Be Super Positive by managing your thoughts, emotions, and energy. 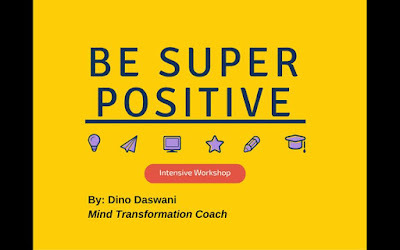 As a Certified Master Life & Business Success Coach, Dino has realized that empowering others gives him true joy. Dino has a Master’s degree in Leading Innovation & Change from York St. John Univ. (UK), and incorporates Pranic Healing & Hypnotic NLP in his coaching practice. 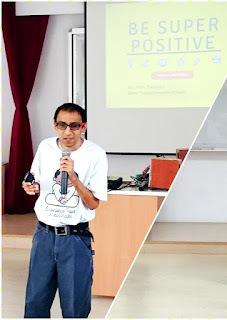 In addition he also shares his wisdom through his website as well as articles published in magazines. 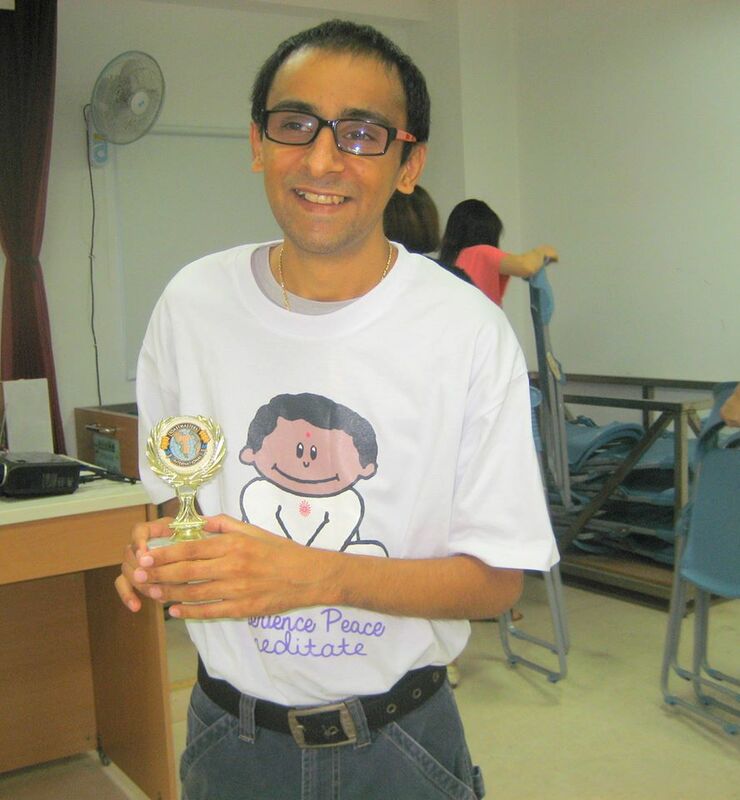 Dino feels tremendous joy and empowerment by coaching and inspiring others. 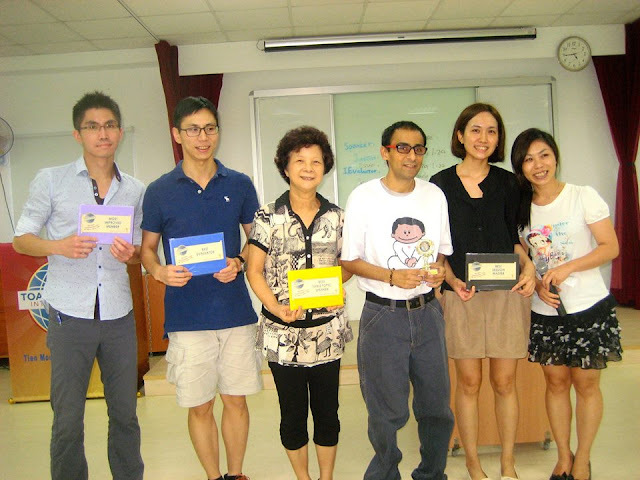 -- Would you like to attend Dino’s upcoming workshops and webinars? – Ask for details. In this video, Dino talks about Meditation. Three reasons why people don't meditate. Is it right for you? Enjoy the video below.